After a year in the Peace Corps, I took a 6-week trip around parts of Indonesia. This was my first big international trip, and I found Indonesia to be the most exotic place that I have visited so far. The three-volcano Mt. 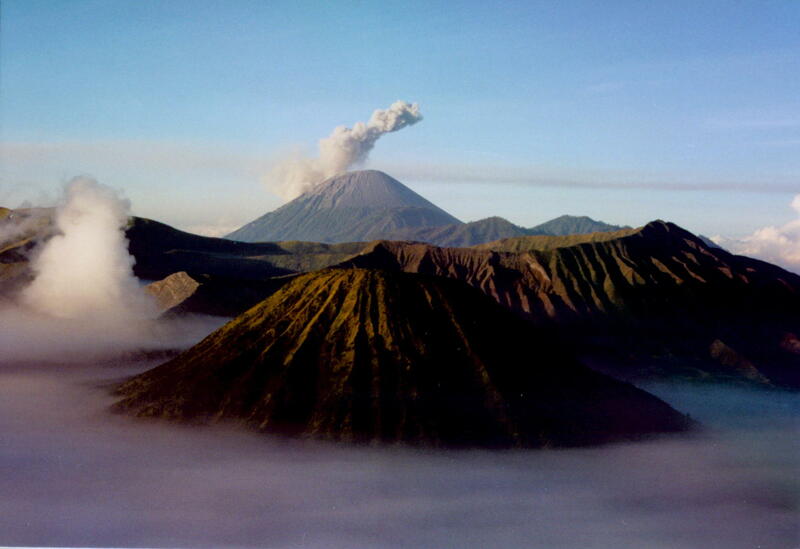 Bromo, on eastern Java Island. 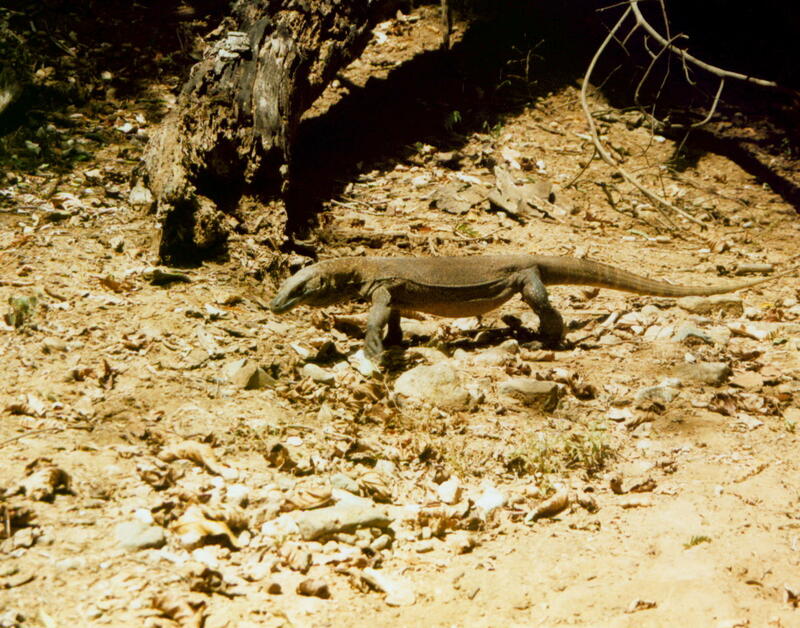 A Komodo Dragon baby on Komodo Island. 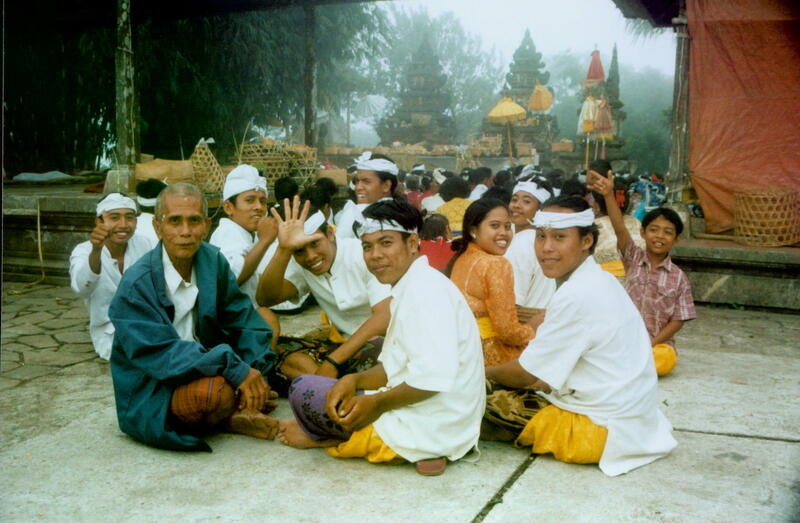 Some Hindu worshippers on a mountain-top temple, Central Bali.